Thought I'd share something I just stumbled upon. If you have a rounded corner that you want to bring back to its original unrounded condition, Use the Extend Tool, click on the face of the rounded corner and then an adjacent planar face and the curve is removed! This absolutely great trick. Why I haven't found this before, it is so obvioius now when you know it. knowing this can be done, it would be nice if an "un-round" tool can be added that automatically does this (for everyone who hasn't read this thread). can you make a graphic that show how this works? 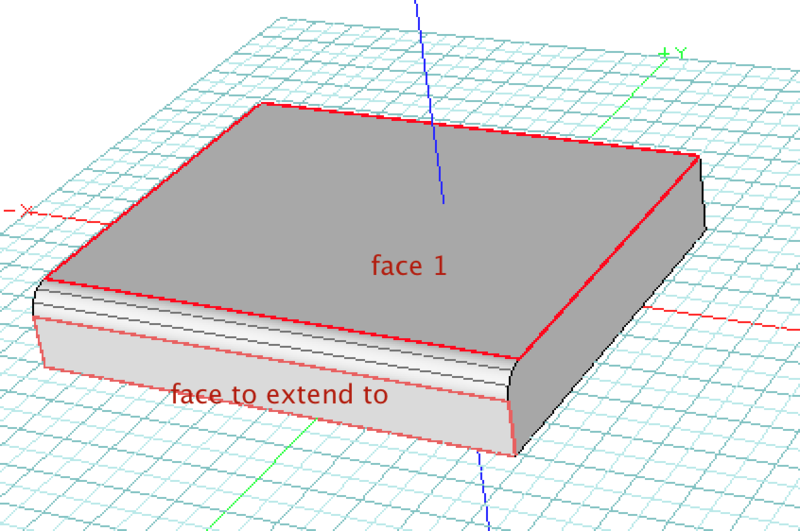 "Unable to complete smooth modeling operation"
You have to click the rounded surface, then one of the two adjacent faces. Thanks R2 for the reply. That's it in a nutshell, Sorry, Evan, Ahtoh, for the delay. I think that this is something relatively new, I was unable to do this action in the past. It works! Thank`s a lot! Great trick! That will save me a ton of work on my rounded light coves! Thank you! !